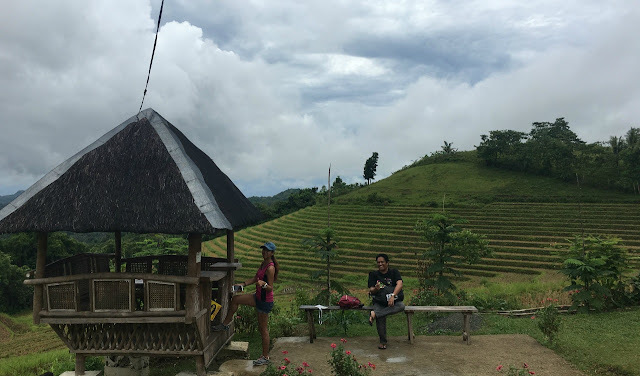 It was one regular Saturday when one of my friends in college sent me a guide link to Cadapdapan Rice Terraces and Can-Umantad Falls. She asked me if I wanted to go with her the following day, Sunday. After checking the link, I was in awe with what I saw and at the back of my mind, I was already saying yes but before making a decision I asked her if we will be back on the same day as I have a scheduled meeting every Monday at 8:00am for my work. Since she was amenable to going back to Cebu on the same day, Sunday, she booked a roundtrip ticket for us. 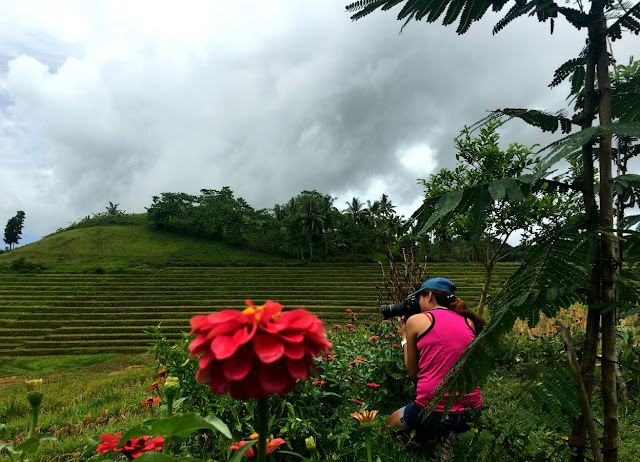 Sunday came, the day where we are to embark on an unplanned out of town day trip to Cadapdapan Rice Terraces and Can-Umantad Falls, I was as excited as she was! We boarded a 6:00am Oceanjet ferry from Cebu to Tagbilaran (P425) and arrived at past 8:00am. We then immediately ride a tricyle to the bus terminal (P25). 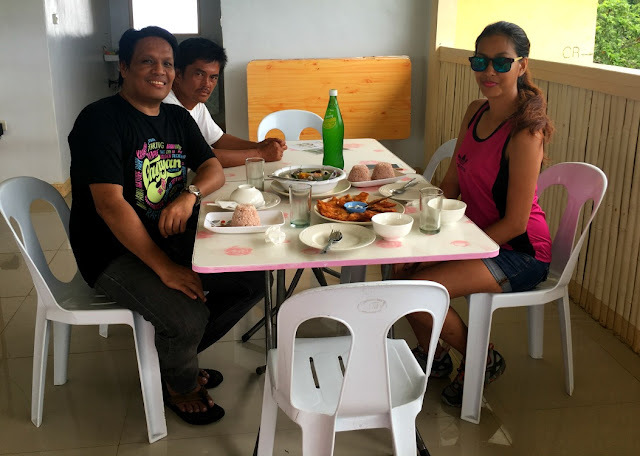 Because we were hungry, we ate at the eatery in the terminal then we boarded a van (advisable) via Ubay, fare was P130. Travel time from Tagbilaran terminal to Barangay Lungsodaan, Candijay is 2 hours. When we reached Lungsodaan, the rain started to pour, we waited for it to stop. As soon as the rain started to slow down, we then agreed to have the habal habal driver brought us to the terraces (Fare: P200 roundtrip). The road going there is rough and bumpy and to a point muddy and slippery when we pass by the rice fields. 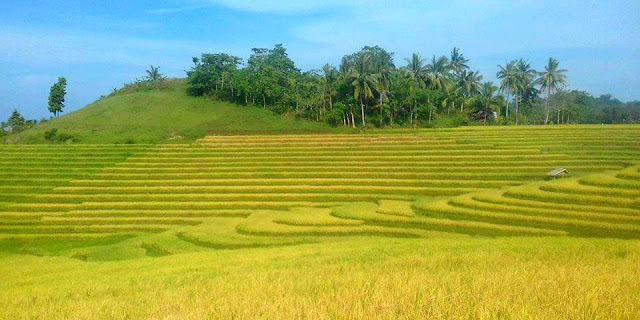 Travel time from Lungsodaan to Cadapdapan Rice Terraces is 25-30 minutes. Best time - best time to go to the rice terraces is between November to March as we went there after the harvest season. Eleuterio's Rice Terraces and Mountain Resort is the name of the place to relax, unwind and enjoy the view of the rice terraces. They have a restaurant there, we only ordered 2 main courses for our lunch as food serving is good for 4-5 persons. We paid P670. You can actually bring some food there but they charge a corkage between P100-P200. They also have a videoke machine for P5 a song, so if you have ample time, you know the drill. One of the best trips are unplanned trips. Thanks Lai for the invite and thank you Lord for the safe trip! After we had our fill and some pictorials of the beautiful scenery at Eleuterio's Cadapdapan Rice Terraces and Mountain Resort, we walked downwards to check the Can-Umantad Falls, a 15-minute walk from the terraces but hey, wait until you go back, you will need 15 minutes more, yes, it will take you 25 to 30 minutes to go back up as the stairs are steep. My friend told me, Can-Umantad Falls is said to be the tallest waterfalls in Bohol. The falls is not too deep but you will certainly enjoy your swim there. Near the falls, there are tables that I believe are for rent and there are also vendors there to feed your hungry stomach. 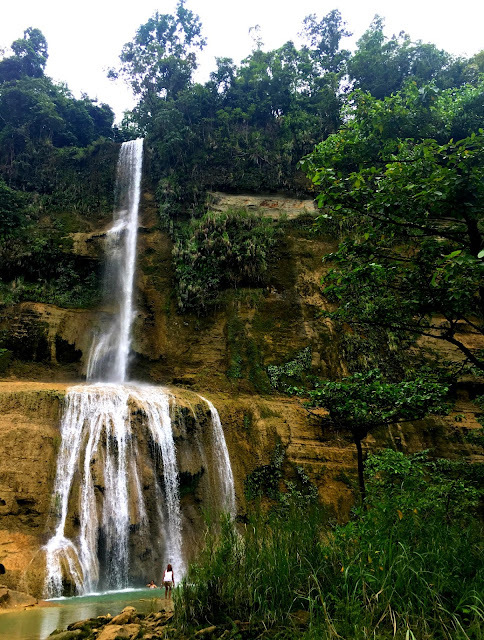 Aside from Can-Umantad Falls, there are several other waterfalls in Bohol such as Busay Falls in Loboc, Mag-aso Falls in Antequera, Kinahugan Falls in Jagna, just to name a few. The guide link that we used when we went there included Anda de Boracay but because my friend received a text message that our Supercat trip going back to Cebu originally scheduled at 8:15pm was cancelled due to technical problem, we had no choice but to cancel our Anda trip and revalidate our return ticket to 5:25pm. When my friend received the text message for revalidation, we had just arrived at the terraces. We were too busy enjoying the scenery and doing our pictorials checking angles and stuff when suddenly, we realized we can not do Anda. Because we know it will take us 2 hours and 30 minutes to go back to Tagbilaran Pier, my friend immediately replied and agreed for the 5:25pm revalidation schedule. It was past 11:00am then so we need to act double time, had our lunch as fast as we can as we have yet to go to the falls. The challenge was real! We went back to Lungsodaan from the terraces at 2:30pm and we arrived there at 3:00pm. We waited for only 1 minute and we then boarded the van going to Tagbilaran. (There are many vans and buses that pass by the street picking up passengers anywhere). We arrived in Tagbilaran City at past 5:00pm, rode a tricycle (P10) to the pier and presented our ticket. Luckily, we arrived on time, just a few minutes before the ferry started to sail. 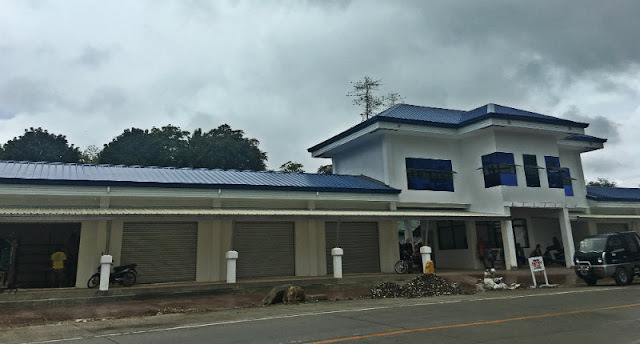 There is no issue about the terminal fee in Cebu (P25) but as for paying a terminal fee in Tagbilaran, though not an issue but since it is located outside the waiting lounge, you need to pay at the counter near the entrance (left side) before entering the waiting lounge. *My friend from Bohol told me the fastest way to go to Candijay from Cebu is via Ubay. It will take you less than 1 hour to get to Lungsodaan, Candijay (the starting point to Cadapdapan Rice Terraces and Can-Umantad Falls). Buy a Cebu to Tagbilaran Ticket at SuperCat or Oceanjet. For ticketing outlets, you may visit their websites or call SUPERCAT - +63(32) 233-7000 OCEANJET - +63(32) 255 7560 / +63 (32) 255 0115 0917 638 0000. (P425). 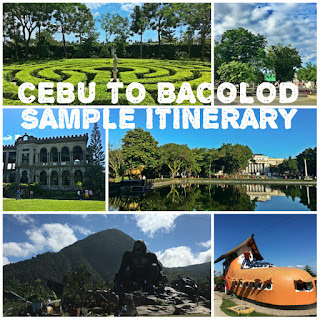 (You can also go to Tagbilaran, Bohol via Cebu Pacific, Air Asia and Philippine Airlines). Once you arrived in Tagbilaran Port, ride a tricyle to the bus/van terminal (P25). 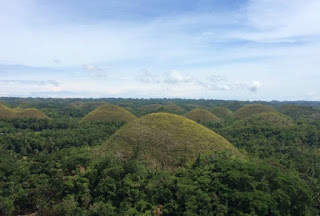 (If you opted to go to Bohol by air, from the airport, ride a taxi heading to bus/van terminal or see if there is a van there that goes straight to Candijay or Ubay then proceed to step number 4). Upon reaching the bus/van terminal, ride a bus/van bound for Ubay. Fare for van is P130. Travel time from Tagbilaran terminal to Barangay Lungsodaan, Candijay is 2 hours. 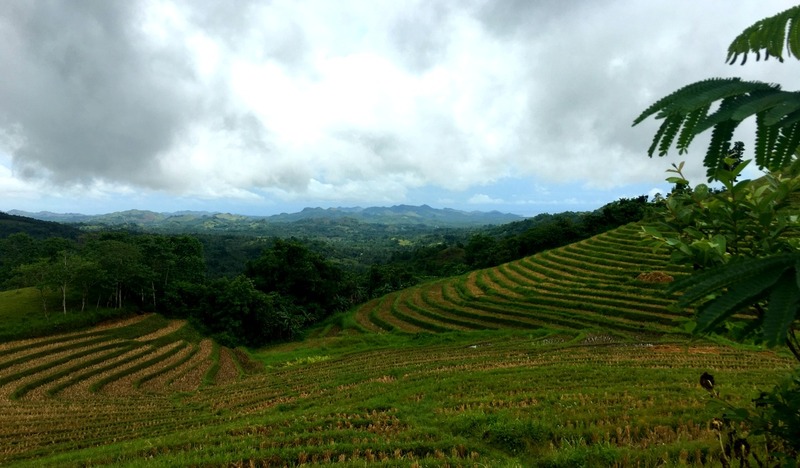 When you reached Barangay Lungsodaan in Candijay, Bohol, charter a habal habal for Cadapdapan Rice Terraces (Fare: P200 roundtrip, haggle if you want to). The road going there is rough and bumpy and to a point muddy and slippery when you pass by the rice fields. Travel time from Lungsodaan to Cadapdapan Rice Terraces is 25-30 minutes. Worried about going back to Tagbilaran from Candijay? Don't be, there are several vans and buses passing by on your way back. Please remind the driver on your way back to drop you off at the city center if you want to go to Tagbilaran Port after your tour. From the city center, ride a tricycle and tell the driver to bring you to Tagbilaran Port. 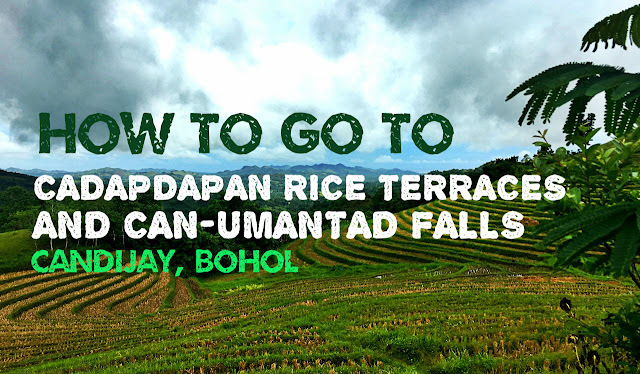 You can go to Can-Umantad Falls from Cadapdapan Rice Terraces but you can also go straight there as well. The waterfall is just a 15-minute walk from the terraces but wait until you go back, you will need 15 minutes more, yes, it will take you 25 to 30 minutes to go back up as the stairs are steep. *If you want to go to Cadapdapan Rice Terraces and Can-Umantad Falls using your private vehicle, see the map below for direction.